According to projections from the Korean Association of Robot Industry, the global robotics market will exceed $60B by 2020. So, it is no surprise that solutions necessary to optimize the programming and execution of IoT interfaces will play a major role in this era of robotics research. Recent initiatives have contributed to this growing demand, by targeting the most important problems that developers face, and by tailoring new platforms to solve these problems. By simplifying integration between UAS/UGV systems, incorporating deep learning and real-time analytics, and utilizing cloud-based technology, high-quality control software is quickly becoming a cornerstone for enterprise robotic control solutions. One of the primary challenges facing the industry is finding ways of effectively and seamlessly integrating unmanned systems technologies. Tomahawk’s answer to this challenge is Kinesis. With an emphasis on simplifying the integration of a client’s workflow, the Kinesis control system encourages the user to leverage new technologies by using One-to-Many Control in order to complete tasks more quickly, and without compromising the user’s workload. Ease-of-access to data and control is paramount when working with a dashboard within a control software. As a result, simplicity with systems integrations only plays a small role in the bigger picture. Accessible from any network-enabled device, cloud-based platforms like Kinesis offer many benefits. The value of which can be seen, not only in reduced systems costs but in the ways it lends itself to scalability. Whether the end-user is managing a large or small operation, cloud storage and accessibility offers invaluable flexibility. Case in point, Kinesis extends to its user the capability to monitor its systems, update its software, and manage the account settings, all from the dashboard, from any web-enabled device. More interesting still is the ability to develop machine learning algorithms in cloud-based clusters to generate efficient and deployable algorithms to the edge. The benefits from a systems perspective are two-fold, more timely results from remote systems with less bandwidth. The KxM mission computer enables this approach for the smallest of UxV platforms with a full suite of integrated connectivity options backed up by an Nvidia TX2i AI engine. The Kinesis platform is well into the process of innovating upon previous and conventional methods of robotic control. The significance of such strides, evidenced by the capabilities of the Kinesis control system, will resonate in industries such as Energy & Infrastructure, Security & Defense, and more. 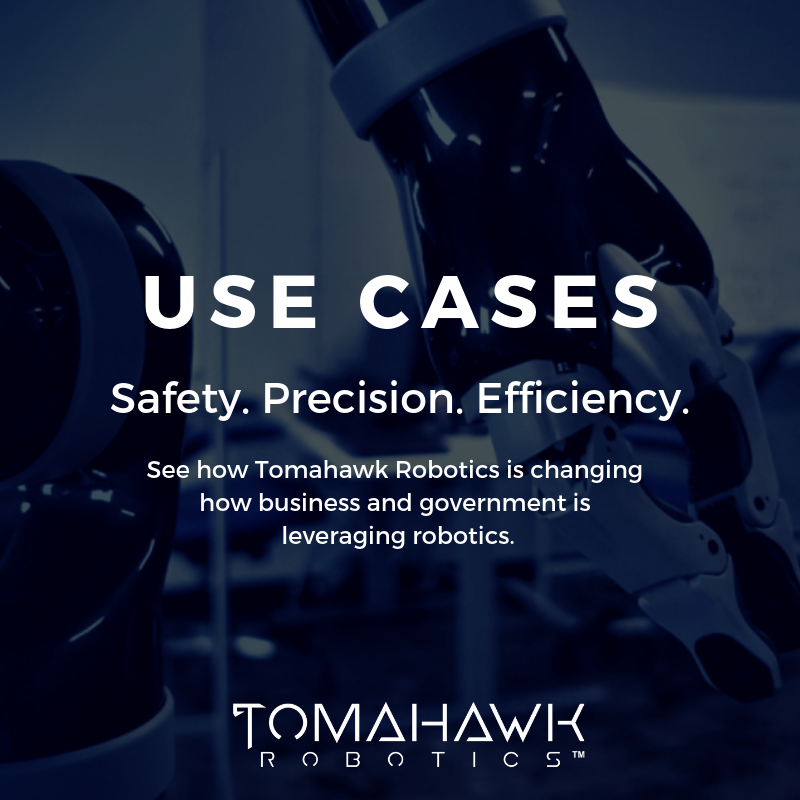 To learn more, visit tomahawkrobotics.com.